A gorgeous set in Bavarian crystal, Nachtmann's Aspen whiskey decanter set supplies all the essentials to serve whiskey for two. 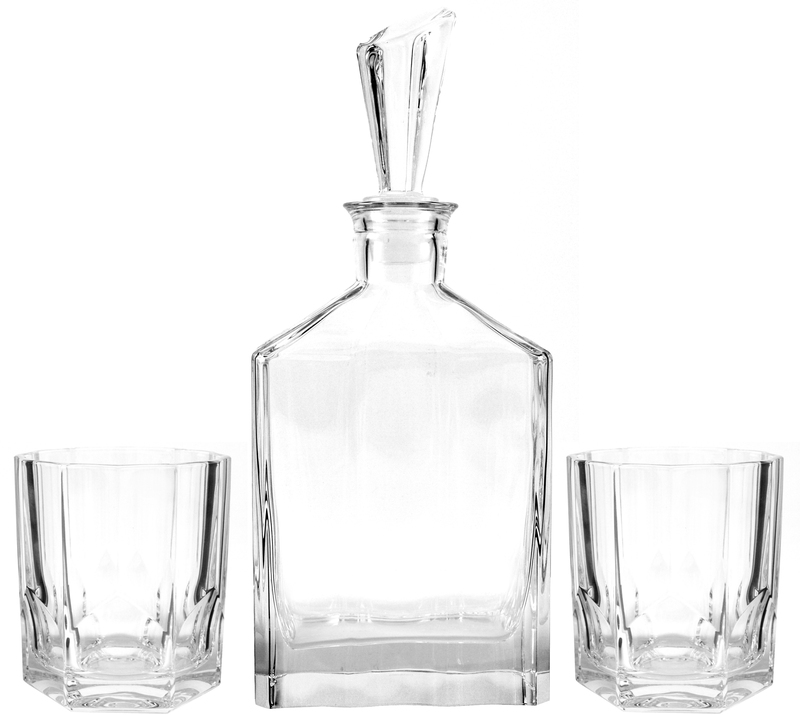 This three piece set includes a decanter with stopper, as well as two tumblers. Simple yet elegant, the decanter is is made of beautiful unleaded crystal, while the tumblers are made with leaded crystal. Best of all, each piece in the set is dishwasher safe for convenient cleaning.